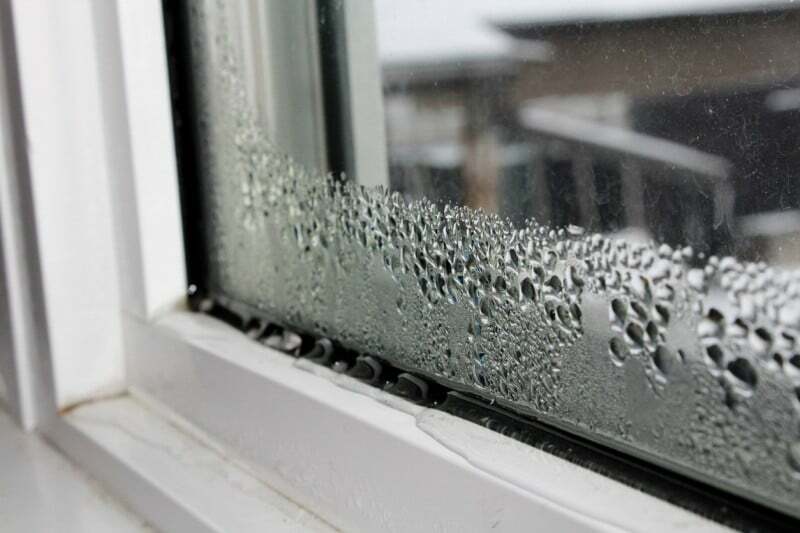 If your home suffers from drippy, wet condensation on the inside of windows during cold weather, you’ve probably noticed it can make a real mess of everything below. In the 20 years I spent as a professional home inspector, I’ve noticed all sorts of so-called DIY “solutions” for this problem, from rolled up towels strategically placed to catch drips on the window sills below, to very creative attempts at channeling water with what can only be described as a built-in gutter connected to the bottom of these persistently wet windows! Needless to say, while amusing, these well-intentioned attempts rarely provide any long term benefit. 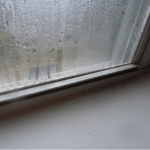 Truth be told, if you really want to stop window condensation, you first need to understand why it happens. Let’s start with an example most can relate to. Imagine sitting outside on a warm summer day with a glass of ice-cold lemonade at your side. The outside of that glass will be wet with condensation. Why? Because warm air holds more moisture than cold air, and as the warm summer air that strikes that cold glass and gets chilled, it releases the moisture it held and voilà – you’ve got condensation! This same thing happens inside a home when conditions are right. If water forms on the inside of windows, there’s likely a combination of causes allowing that to happen. These include high humidity, poor insulation and a lack of good passive and mechanical ventilation. They all combine to let moisture form and rise up through the home causing a wide variety of potentially unhealthy and unpleasant conditions from water damage, to mold and more. Building science tells us that this movement of moist air is part of the “stack effect” where warmer air enters a structure from the lower floors, often through a crawlspace or basement, and then rises up through the building – cooling as it goes – and releasing much of that moisture along the way. It’s a powerful force, but one that can be overcome with steps to reduce moisture at all its sources. Given that we can’t fight physics, the best way to stop condensation from forming on the inside of windows is to reduce the humidity that allows that moisture to form in the first place. That includes addressing the most common ways excess moisture gets into the home, improving windows to be able to reduce the temperature differential between outside and inside, and improving the ventilation needed to move the moisture out. Some of these steps are simple, some take more time, expense and planning. 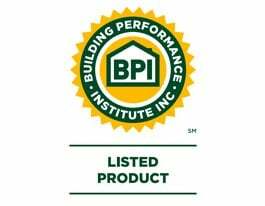 But all will help reduce or completely eliminate moisture from forming inside your windows and can be accomplished individually or all at once.